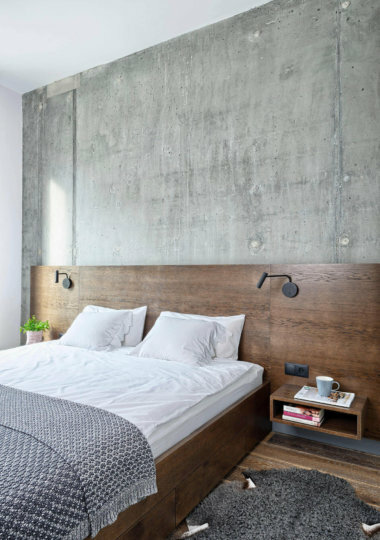 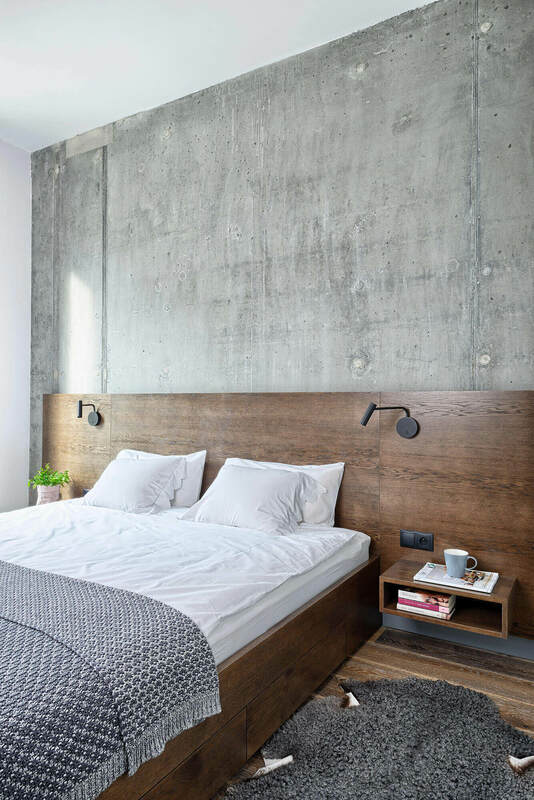 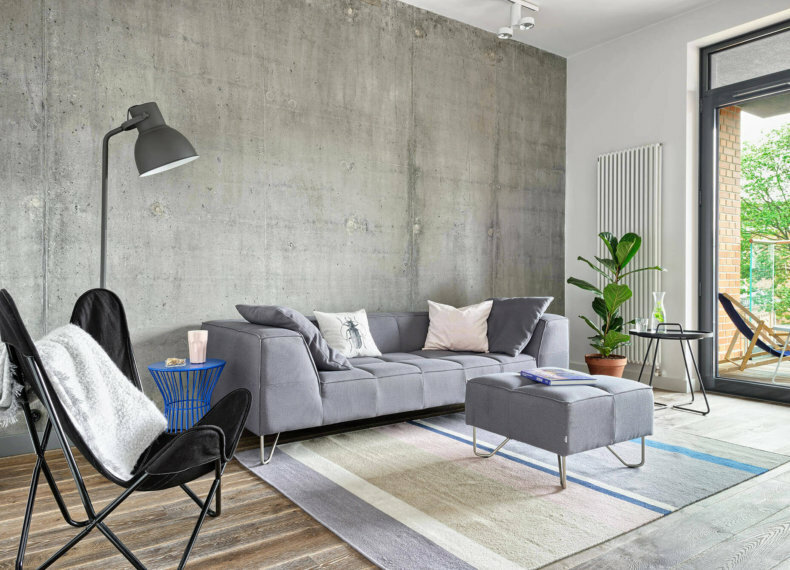 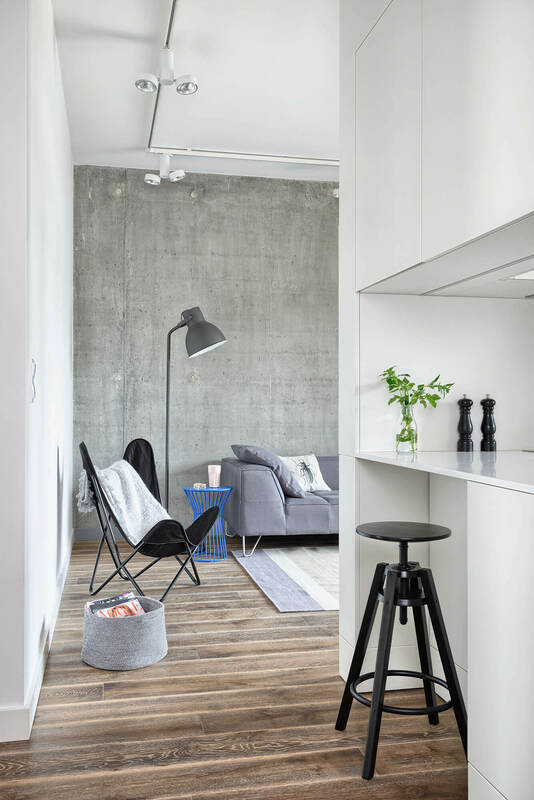 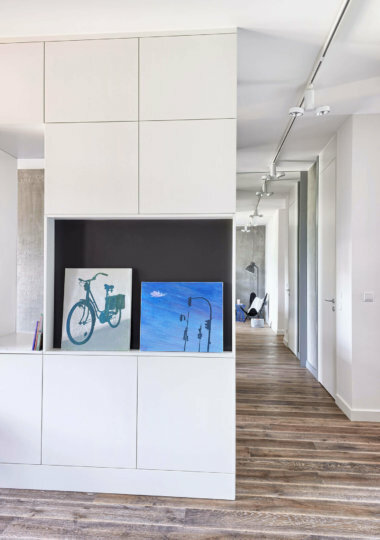 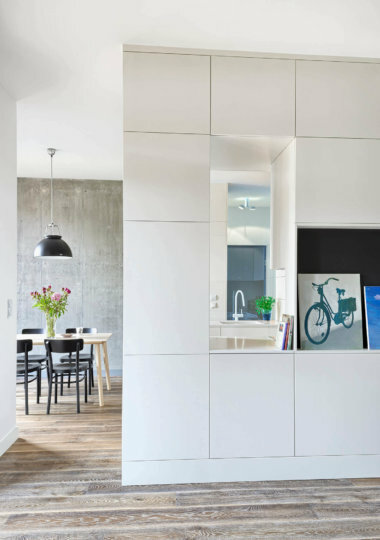 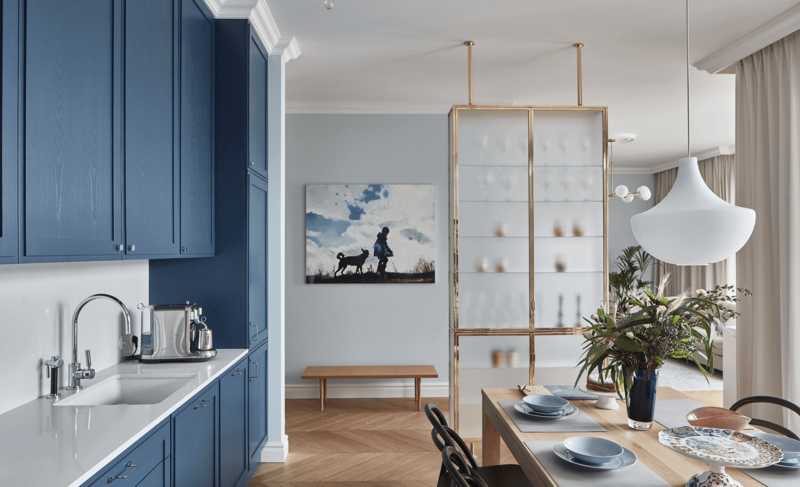 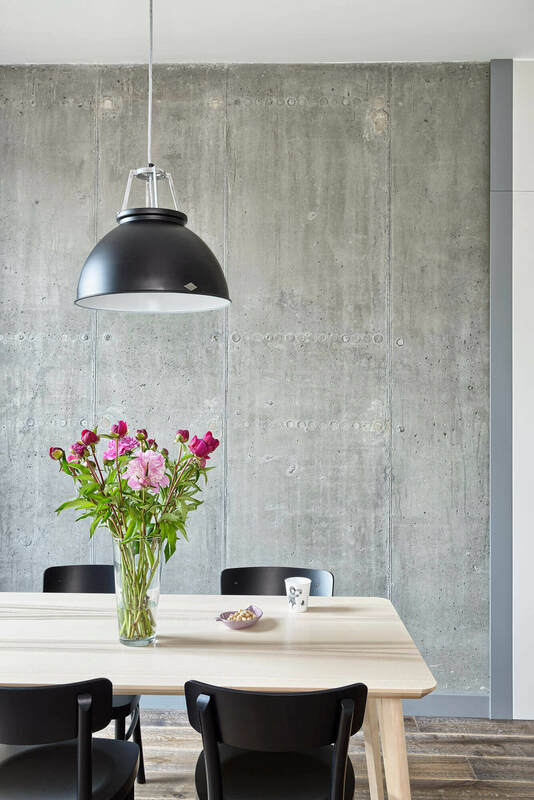 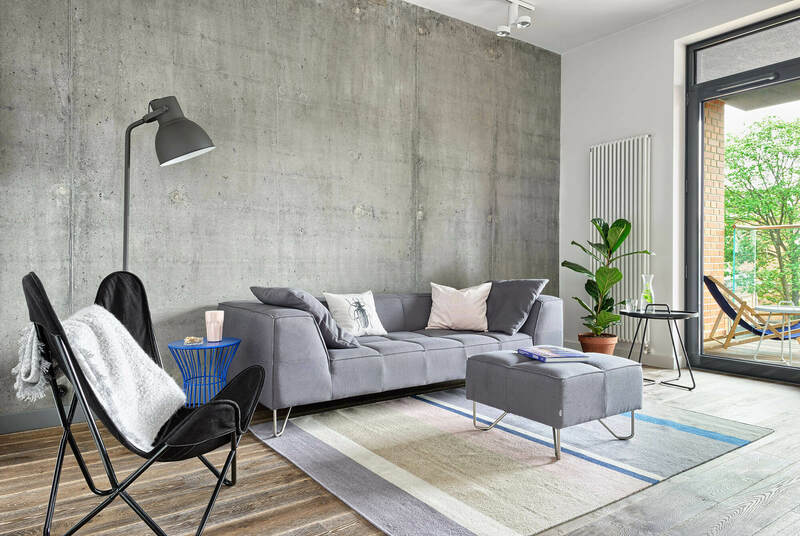 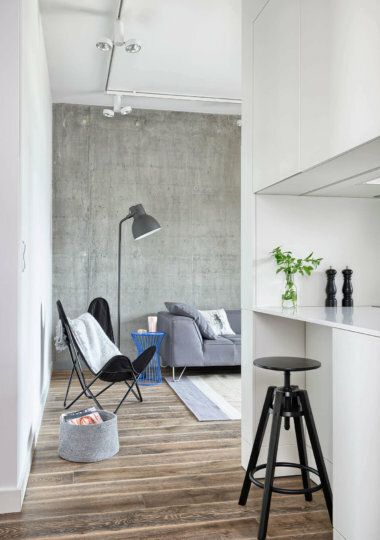 Located on the revitalized grounds of Koneser Centrum Praskie, the apartment is a combination of modernity and industrialism. 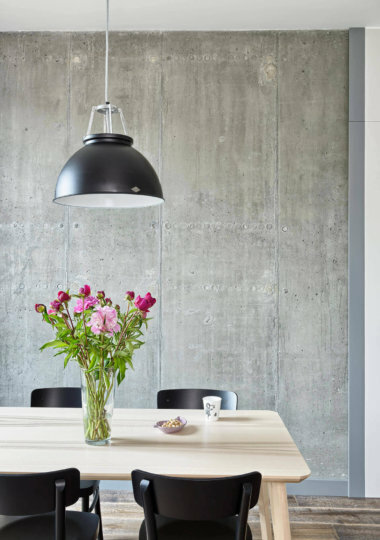 Some raw, concrete walls were left intact, adding an original feel to the interior. White open kitchen connects the living and dining rooms and benefits from the natural light coming from the terrace. 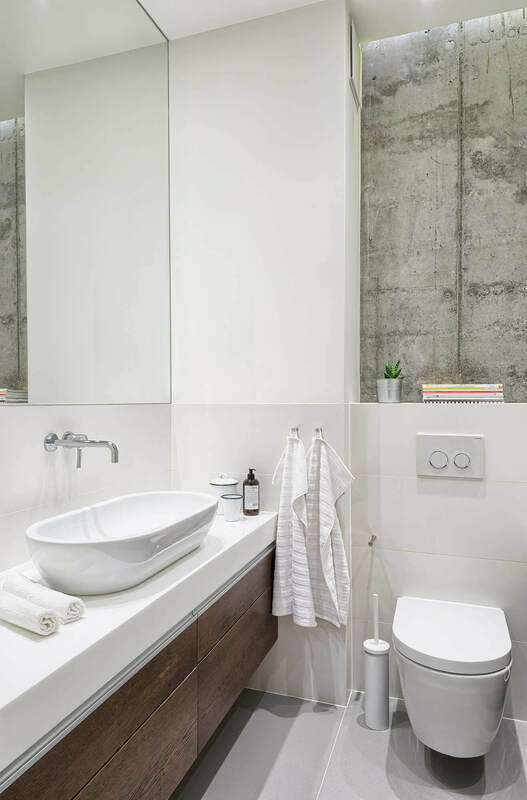 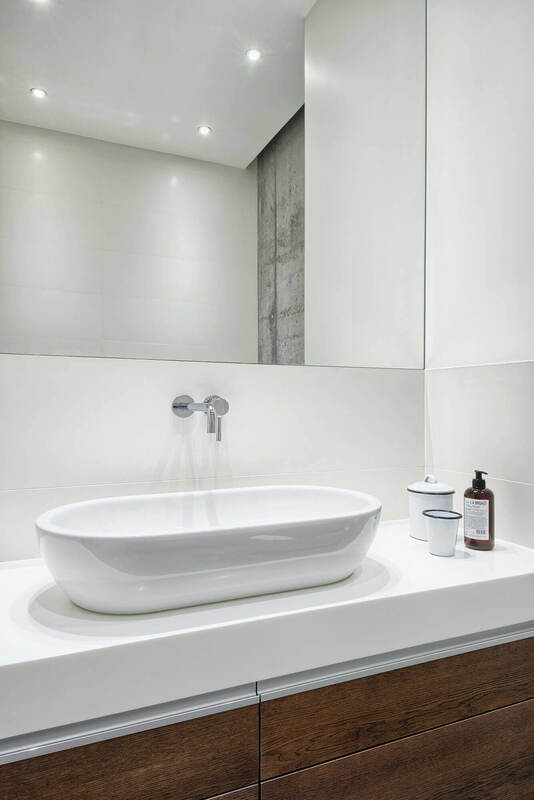 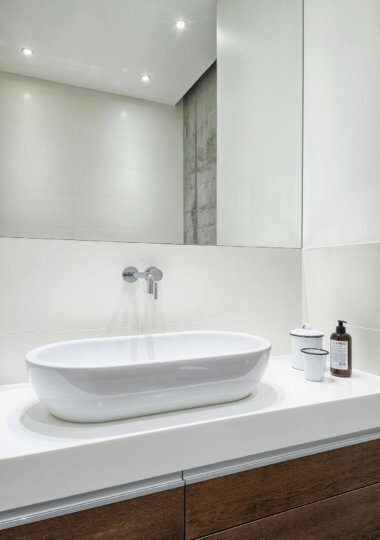 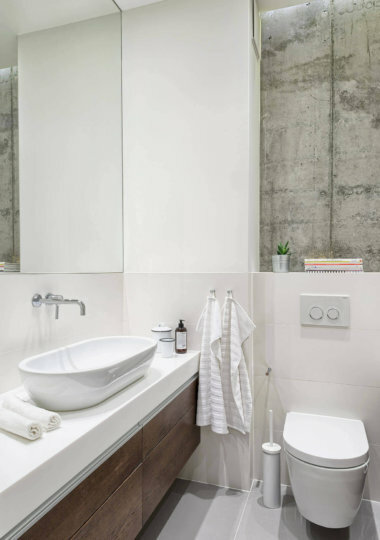 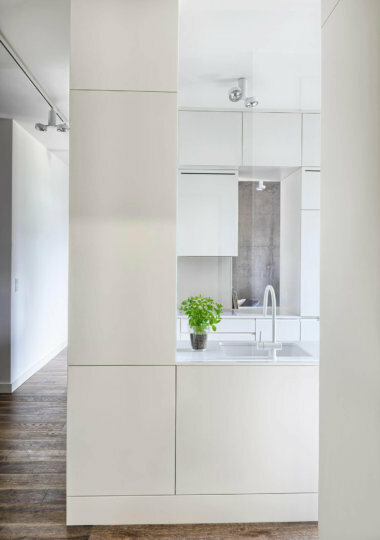 The apartment is complemented with a bright bathroom where elements such as concrete, wood and dominating white were consistently used.